In this article, you will learn about Tabs element and how to use it. Tabs element can present content in separate tabs, hence to increase conversion rate. 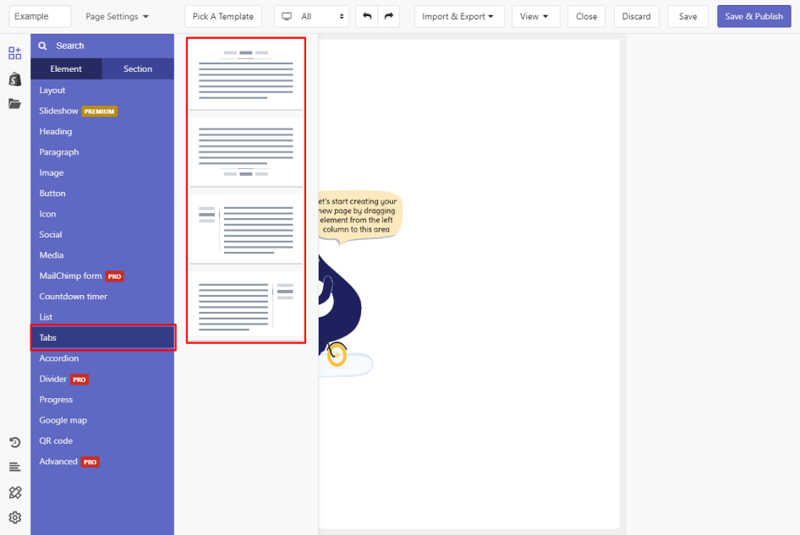 You can use the Tabs element to showcase various elements or content types in a limited space, which is why we love it! 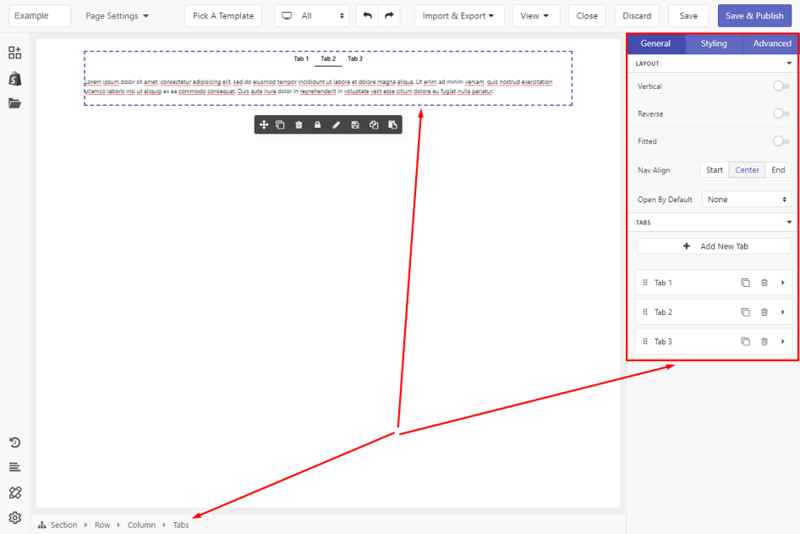 Tabs element offers some variations, covering design needs. But we will add more options in the future so you can explore more choices. Tabs element comes with many variables so you can edit content layout to achieve the best conversion rate possible. To start, select the element in Editor to see its variables. Reverse Enable this to reverse the position of the tab navigation. Fitted Give tab navigation the same width. Nav Align Align the position of the tab navigation. There are three options: Start, Center and End. Add New Tab Use this to add new tabs to the element. etc. You can duplicate or delete the item with the icons next to each tab item’s name. The order of tab’s items can be moved easily by dragging and dropping. Clicking on the right arrow icon will show Name (the name of the tab item) and Icon (choose an icon to display next to Name).